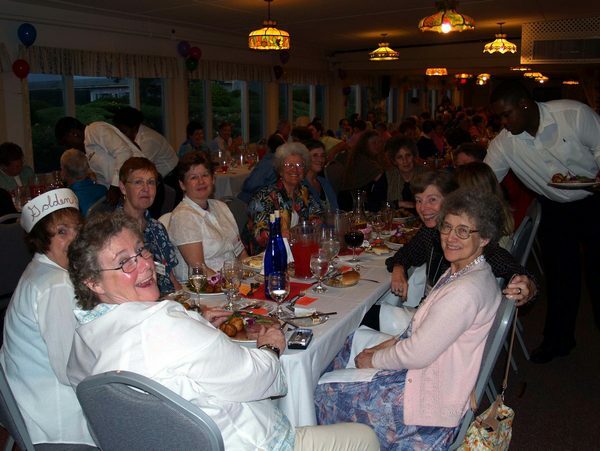 BANQUET TABLES -- FIND YOURSELF! 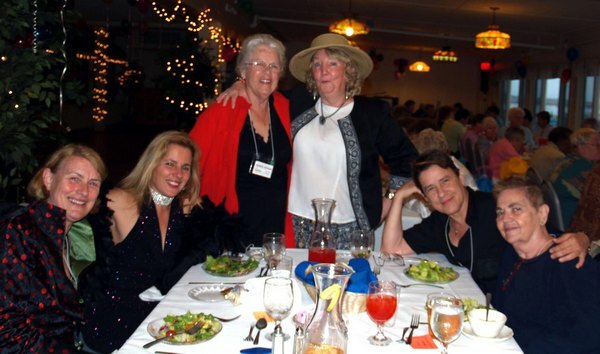 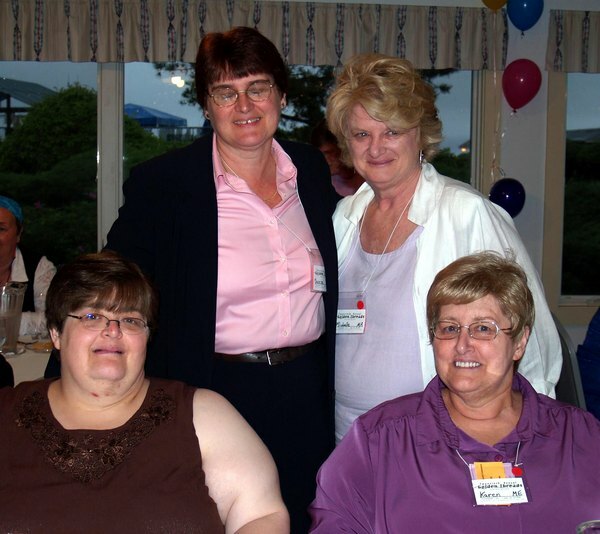 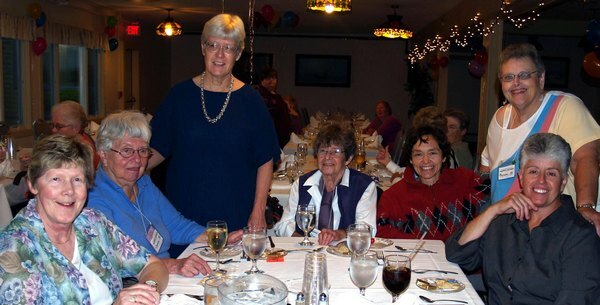 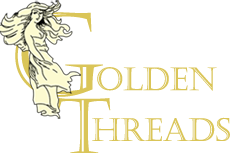 If you celebrated at Golden Threads in 2006 and wanted to be on the web site, look for your picture here, along with your tablemates at the Saturday Banquet. 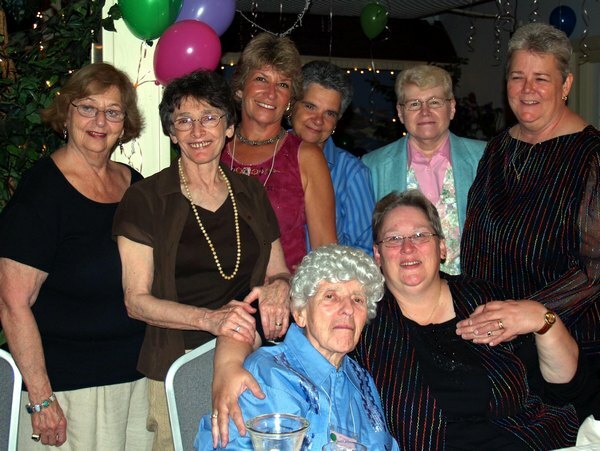 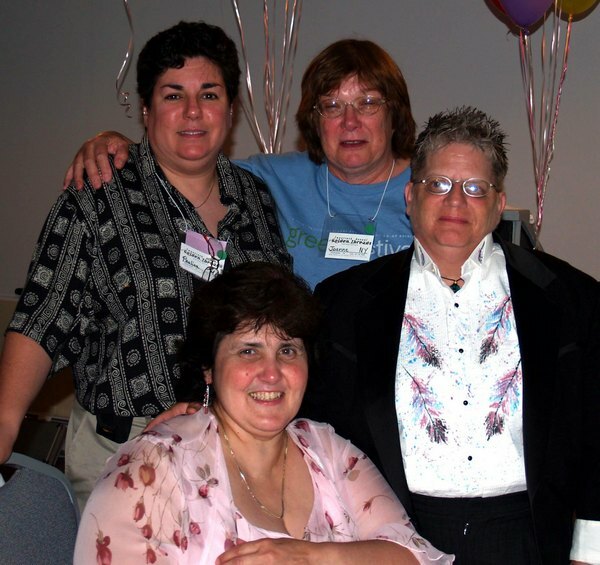 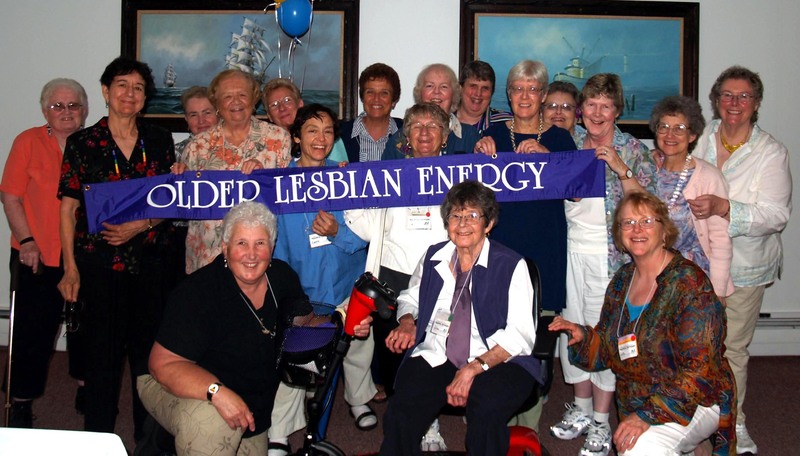 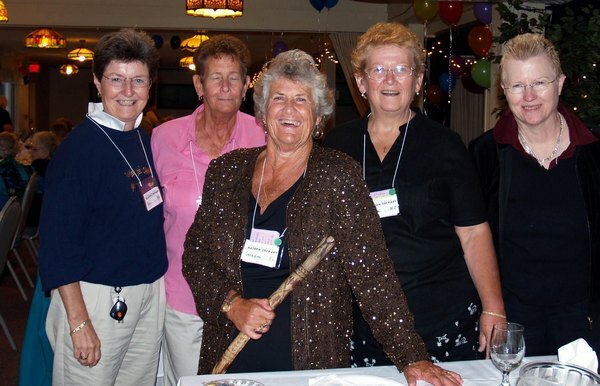 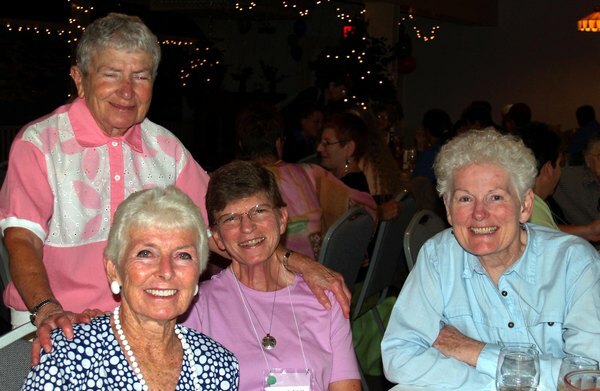 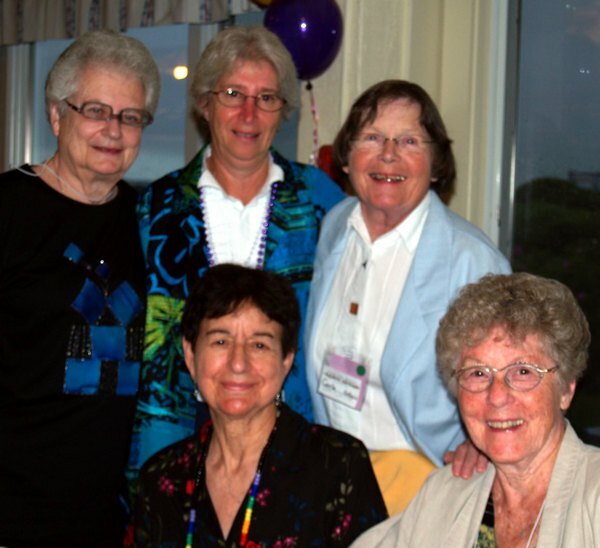 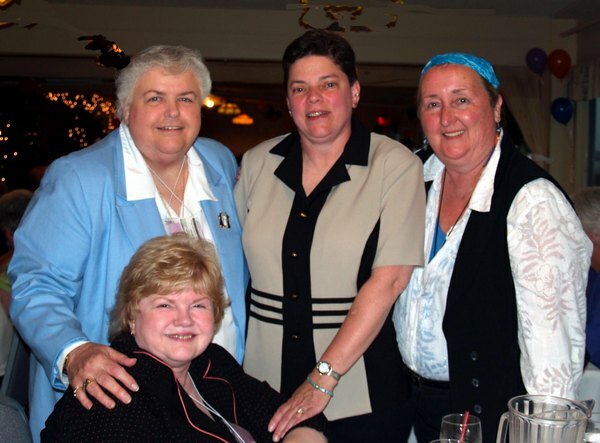 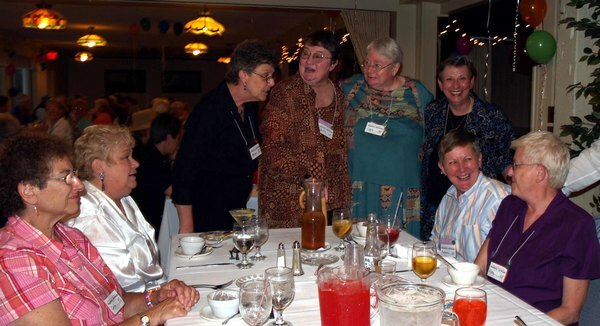 Boston OLE - Older Lesbian Energy - gathers at Golden Threads 2006. 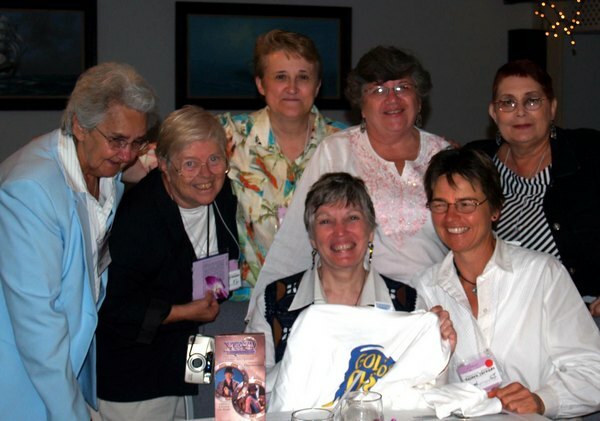 Golden Threads head table: Jan-White Hat Lady, Joy and Judy, Producers, Marilyn and Karen-t-shirts, Chris-publicity, Susan Wiseheart and Alix Dobkin-workshops and performer, Radclyffe (hidden behind server) and Ann Bannon-authors.